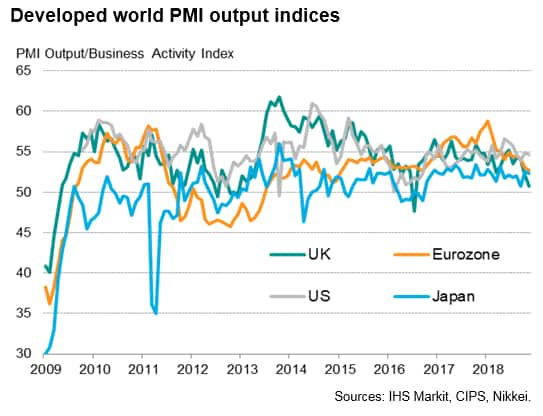 Global business activity grew at a marginally improved pace for a second successive month in November, albeit continuing to expand at one of the weakest rates seen over the past two years. Growth is also likely to soften again in coming months: sentiment about the year ahead and inflows of new work both deteriorated to the worst levels recorded for just over two years. 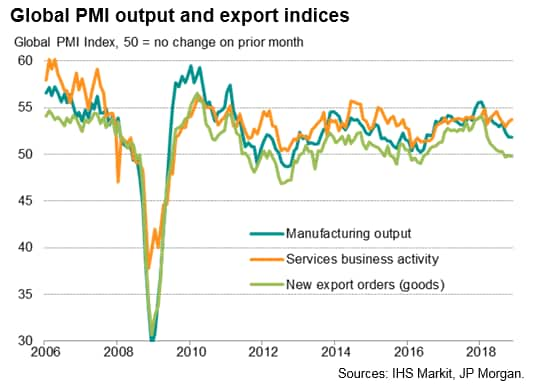 The survey data showed that subdued manufacturing growth and a further marginal drop in global goods exports acted as a drag on growth, but the pace of service sector expansion accelerated. 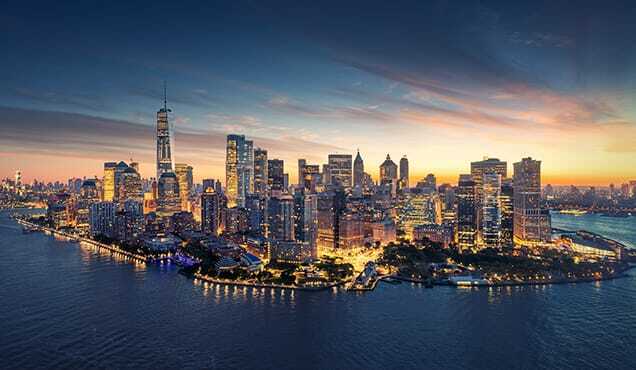 By country, the US led the expansion among the world's largest economies, though emerging markets closed the gap with the developed world, the latter held back by slower growth in Europe. 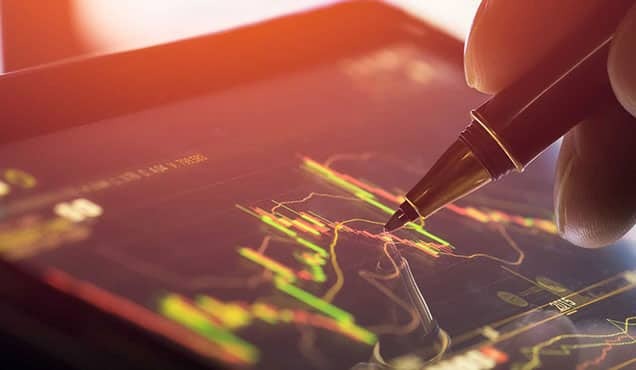 In a sign of the global economy showing resilience in the face of rising concerns over trade wars and escalating geopolitical uncertainty, the latest business surveys showed worldwide output rising at an increased rate mid-way through the fourth quarter. 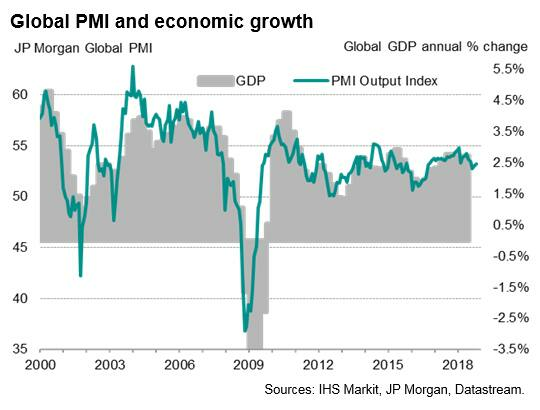 The headline JPMorgan Global Composite PMI, compiled by IHS Markit, rose for a second successive month in November, edging up from 53.0 in October to a three-month high of 53.2. 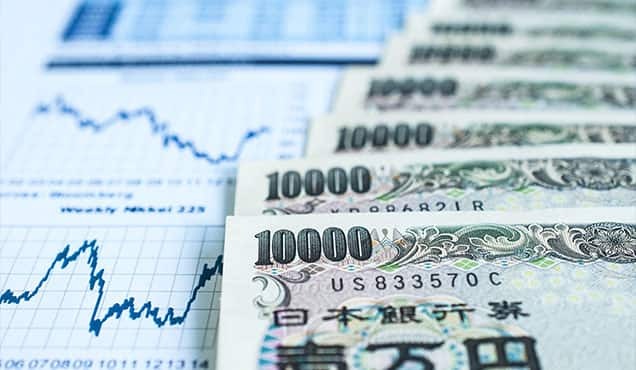 However, although the latest reading is indicative of global GDP expanding at an annual rate of just below 2.5% (at market exchange rates), the past three months have seen the weakest spell of growth for two years. Moreover, forward-looking indicators suggest the improved rate of expansion may prove short-lived. Inflows of new business grew at the slowest rate since October 2016, while expectations about output in the year ahead (the only sentiment-based question in the PMI surveys) hit the lowest since September 2016. Backlogs of work - a key indicator of capacity utilisation - meanwhile registered the second-smallest increase seen over the past two years, encouraging firms to exercise greater caution in adding to headcounts. Employment rose globally at the slowest pace since May of last year as a result. Manufacturing output growth improved only marginally from the 28-month low recorded in October, putting the goods-producing sector on course for its weakest quarter since the second quarter of 2016. 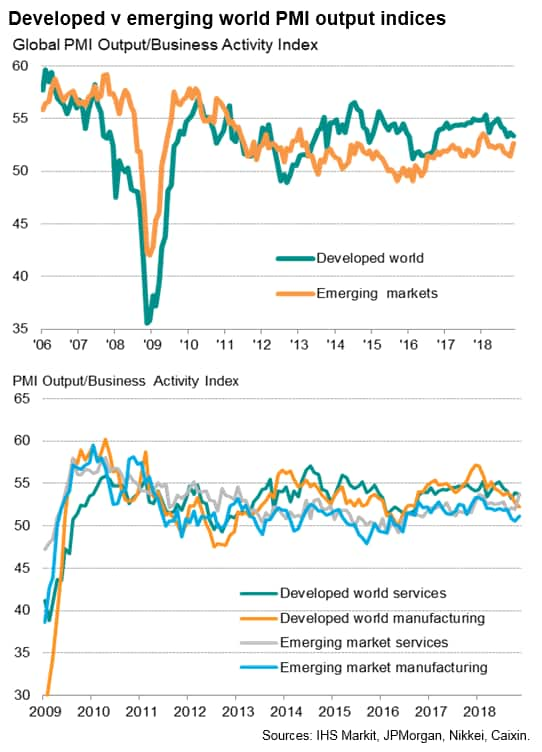 An upturn in emerging market factory output growth to a three-month high contrasted with a slower pace of expansion in the developed world, where manufacturing output showed the smallest rise since June 2016. 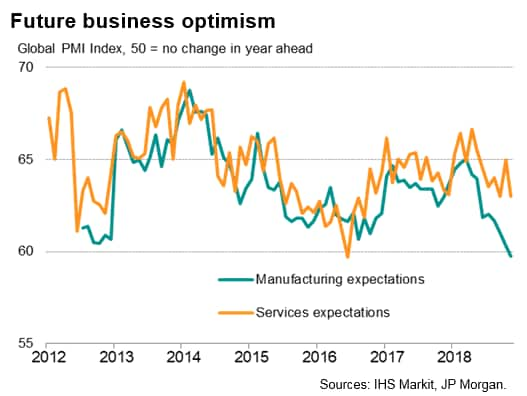 In contrast, service sector growth perked up to a four-month high in November, albeit again led by the emerging markets, which reported the joint-strongest rise in activity since the start of 2013. Developed world service sector growth meanwhile slipped to one of the lowest recorded over the past two years. Among the major developed markets, the strongest expansion was again seen in the US, while Europe saw a further slowdown. 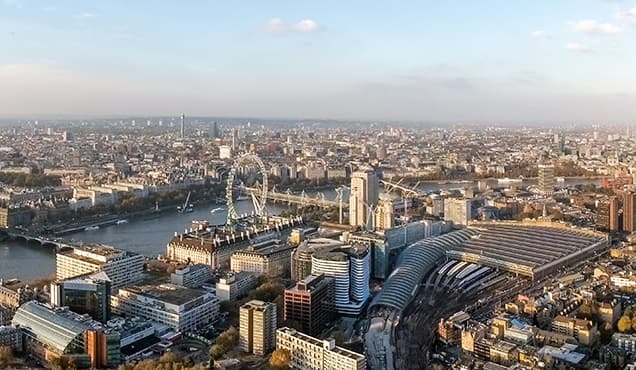 Growth slowed close to stagnation in the UK as Brexit worries intensified, resulting in the second-worst month for nearly six years. 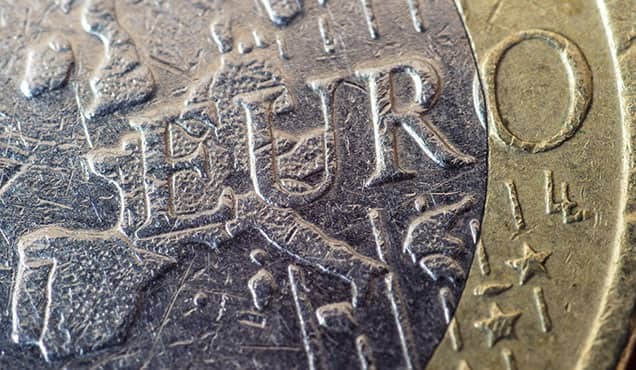 Rising political and economic worries in the eurozone meanwhile pushed the rate of expansion in the currency bloc to the lowest for over two years. 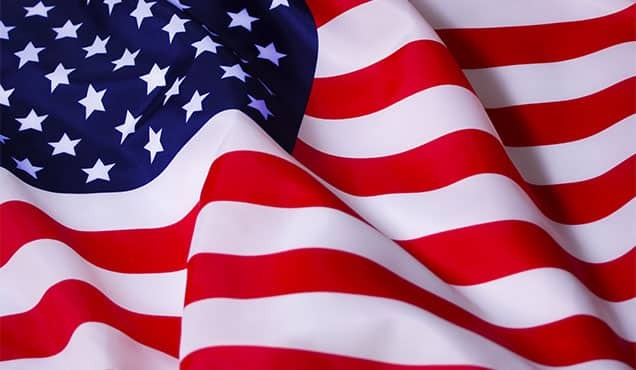 Although US growth edged slight lower, it remained just below the average seen so far this year, suggesting the strong expansion has persisted into the fourth quarter. 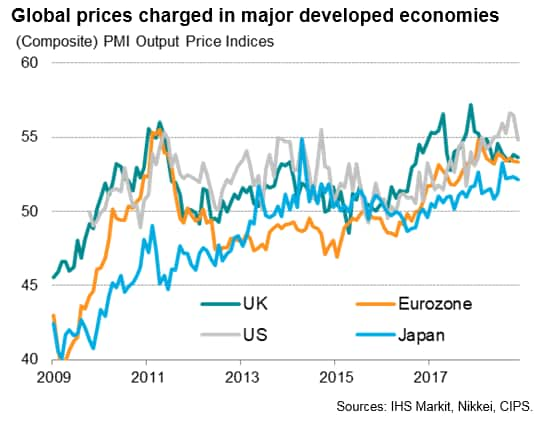 November's PMI numbers meanwhile indicated that Japan looks set to rebound from a drop in GDP in the third quarter, with growth holding close to October's six-month high. 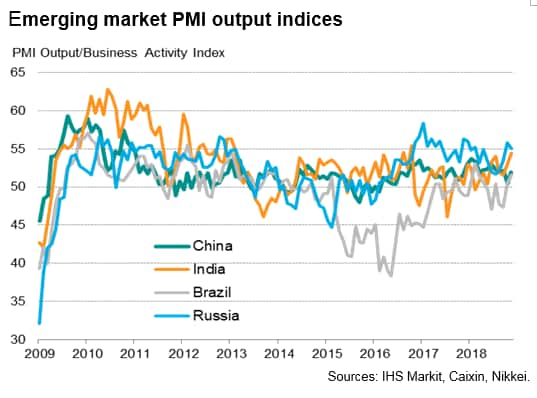 In the major emerging markets, the key gains were seen in India and Brazil, the former notching up the best performance for just over two years (and one of the strongest gains seen over the past six years) as growth accelerated in both services and manufacturing. Brazil meanwhile reported the fastest growth for nine months, with the PMI hitting its second-highest since 2013 to add to signs that the economy has regained some growth momentum. However, it was Russia that reported the strongest increase in business activity of the four largest emerging markets, led by the domestic economy showing more signs of life. The Russian PMI had sunk to its lowest for over two years in July but has since revived, albeit losing a little momentum in November. Growth meanwhile remained subdued in China. Although faster economic growth was signalled by the Caixin China Composite PMI, the index failed to regain the ground lost in October, which had seen the index fall to a 28-month low. As such, the average PMI reading for the latest two months puts the Chinese economy on course for the weakest quarterly expansion since the second quarter of 2016. Tariffs were again a key factor behind a jump in firms' costs, alongside higher energy prices and rising wages in some countries. However, the recent drop in oil prices showed signs of feeding through. 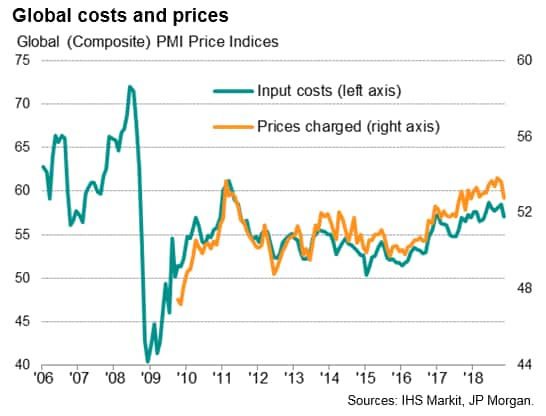 Measured across both sectors, input costs showed the smallest monthly increase since April. Average selling prices for goods and services also rose at a reduced rate, cooling further from the survey record high seen in September, moderating slightly in both manufacturing and services to show the smallest overall increase so far this year. Among the major economies for which comparable data are available, the steepest rise in selling prices was again seen in Germany, followed by the US, though in both cases rates of increase eased.